TALENTCON 2019: The Employee Experience Revolution learn how to strategically design and develop positive employee experiences at every stage of the employment lifecycle to promote sustainable employee engagement, retention, and business innovation. A growing body of research reveals an irrefutable link between employee experience (EX) and employee engagement and productivity, propelling EX to the top of HR’s strategic priorities for 2019. Top employment brands recognize that to win the war for talent and counter increasing turnover and disengagement, they must ensure that their efforts to recruit, onboard, manage performance, develop leaders, manage change, create and maintain a healthy culture, and provide exceptional wellness and benefits programs actually deliver a positive employee experience. If candidates and employees have a bad experience at any of these integral touchpoints in the employment lifecycle, you run the risk of losing them to your competitors—and losing money. But, when organizations excel at EX they are far more likely to attract, engage, and retain talent—plain and simple. In today’s flourishing economy, jobseekers have the upper hand in many ways—and businesses need to adapt their approach to recruiting so that they can make the process as easy and impactful as possible. To succeed at recruiting, it’s important to pay close attention to how candidates perceive your organization and what their experience is throughout the process. By the end of this session, you’ll have a road map for evaluating how your company’s current recruiting practices are helping or hurting your goal of attracting talent that’s not only right for a given job but is right for your business’s culture, mission, and values. How to evaluate the strength of your organization’s external-facing persona—what do you want to communicate—and how—to social media users, website visitors, etc.? And, what does your current persona really say about your company’s value proposition, your culture, and your brand? Presented by: Chris Williams, Root Inc.
Onboarding is one of the most important touchpoints of the new employee experience because if you fail at onboarding, there’s a good chance you’ll lose talent. In fact, 25 percent of new hires will quit within the first 90 days of employment if they aren’t happy. The cost of identifying and onboarding a replacement could be as much as nine months of that employee’s salary! So, if you fail at onboarding, your company is likely going to tank in the retention department too. That has huge implications for your customer experience. To nail employee engagement and achieve healthy retention rates (not to mention customer retention)—it’s critical to invest in your onboarding experience. It’s time to take the focus off of the process-driven aspects of onboarding and opt for a more human-centric—and strategic—approach that serves your company’s needs and ensures a stellar customer experience, all while enhancing new hires’ expectations. Chris Williams, a Managing Director of Root Inc., has helped some of the world’s largest organizations revamp their approach to onboarding and deliver a clearer, more dedicated focus on creating and sustaining an exceptional employee experience. His Onboarding in B Flat program is designed to unleash the truth about what’s working and what’s not with your current onboarding practices. Traditional performance management approaches aren’t working well—and there are good reasons why. To succeed, the workplace of today must be more agile and adaptive to business and market demands. This, in many cases, means more frequent organizational restructurings, shifting resources and business priorities, the integration of new technology, and finding new ways of completing work. But, where does your talent fit into this equation? Nowadays, many businesses are focused taking new approaches to goal setting and appraisal systems, but without a concurrent and continued focus on how the company is engaging its people, the new way of addressing performance management is likely to fail because an on-going dialogue about performance is a key facet to employee engagement success. To succeed at performance management in today’s environment, it’s important to take a holistic approach that factors in the personal fulfillment for each employee, and this session will show you how. It’s clear that making an investment in improving EX throughout the employment lifecycle can give you a competitive edge. But, getting to the point of actually improving your current talent-management system is the end-game—to get where you want, it’s important to take a data-driven approach so you can interpret relevant data and take actions to enhance EX. That’s where people analytics and particularly the concepts of continuous listening and data-sharing come in. 2:40 p.m. – 3:00 p.m.
Are your high-potential employees (HIPOs) satisfied with the learning and development experiences you provide? If you’re not paying close attention to how you cater to this important segment of your workforce, you’re at a big disadvantage. 4:10 p.m. – 5:10 p.m.
As a business leader, what is more important to you: your customers or your employees? It’s not a trick question – but it might as well be. Companies today prioritize the customer experience in every facet of their business, from how they build products to how they judge success as a company, but when it comes to investing in the employee experience, there's a lot left on the table. While it’s easier to focus on the measurable things that have a clear and direct impact on near-term growth goals, how do we evaluate the intangibles that also impact organizational health? The question becomes how do we put as much emphasis on the intangibles and the qualities that make up the employee experience as we do the customer experience? We’re busting out the sticky notes for this one! A culture mapping expert will walk you through how to evaluate the many moving parts of your company’s culture and where there’s room for improvement. The goal of this intensive exercise is to get you thinking about how to actively engage the workforce to create inspired employee experiences. By the end of this session, you’ll have a better sense of which internal and external activities your company is currently using to sustain a strong culture, which activities you’re not incorporating but could, and how those activities fit into your overall cultural pillars, which likely include your core mission and values, communication, employer-sponsored events, leadership, the work environment, diversity and inclusion, learning and development, benefits and perks, employee recognition, community involvement, and more. And, because each attendee will be performing this visualization exercise, at the end, you’ll have a roadmap on the table in front of you that you can snap a picture of to take back to the office and share your thoughts on how your company can grow and improve your culture and your employee experience. The Latest Strategies for Improving the Benefits Experience, Attracting and Retaining Talent While Lowering Costs – Hot Topic Power Talks! If your incentives and rewards programs don’t initiate a positive response in the audience their designed for—your employees—what good are they? For years, employment incentives and recognition focused on extrinsic motivators—think cash bonuses, awards, etc. But, if you don’t have a grasp on what really motivates your workforce to act, you’re missing an integral piece of the puzzle. And, if you don’t make it easy for employees to take advantage of what you’ve got to offer, you could lose them. Consider, too, that big data is playing an increasing role in the future of employee benefits. Data analytics offer employers insights into how to improve their benefit plan performance all while driving costs down. By employing a mix of cloud and mobile computing technologies, many companies are also seeing increased engagement in their benefits programs. Paid sick and family leave, smoking cessation, medical screenings, fitness and weight loss program reimbursements—these are just a few of the benefits companies offer to address a growing body of research suggesting employees want more out of work than just a paycheck. Today’s employees seek an environment that fosters their mind, body, and spirit. But everyday stressors often overpower employees, and the negative effects can manifest through anxiety, unhappiness, absenteeism, and a lack of productivity and focus. And, while many employment benefits are designed to be coping mechanisms for stress management, to truly get your employees to a place where they’re able to unlock their potential requires you to think beyond what you can do to help employees managing stress. Through the practice of stress resilience employees are better equipped to handle what comes at them in the course of a day—whether it’s a work, family, or financial issue that’s commanding their attention. 1:25 p.m. – 2:25 p.m.
To drive meaningful change requires buy-in and influence from the bottom, not just the top. This session aims to dispel myths about what it takes to engage employees in organizational change—from new vision and values, to new processes and technologies, to structural transformation, so you can eradicate negativity and foster positive change. As change marketing expertsNeil Bedwell and Andrew Osterday explained in a recent HR Works podcast, 79% of executives say engaged employees are a key driver of performance and 90% of HR leaders recognize the value of employee engagement.Research proves that companies with highly engaged employees outperform those with low engagement by 250%. So, if engagement is so critical, why do many business leaders struggle to improve it? The fact is that 70% of employees remain actively disengaged and a majority of HR professionals admit that companies are bad at turning employee data into action. So, what can be done about it? Fortunately, a lot provided you’re willing to commit to a union between marketing and HR. Through this marriage, your business will be better poised to attain markedly improved employee engagement. RECRUITING – Fine tune and fortify your external-facing brand to attract the talent that’s right for your organization and create a seamless and successful candidate experience. ONBOARDING – Reduce the risk of losing new hires during the first 90 days of employment and substantially reduce costs to replace and train their replacements. PERFORMANCE MANAGEMENT – Design feedback, performance, and professional development goals around personal employee fulfillment in a way that also meets business needs. METRICS & MEASUREMENT – Apply cross-functional data-sharing programs that will help you align your people analytics with your EX strategy. LEADERSHIP DEVELOPMENT – Nurture high-potential talent (HIPOs) for a stronger leadership pipeline while increasing employee engagement and business continuity. WELLNESS & BENEFITS – Use behavioral economics to design and build high-value wellness and incentives programs and help employees better manage work/life balance and everyday stress. CULTURE – Map your culture and how it aligns to your organization’s core mission and values to identify the cultural deficits that may be causing disengagement and turnover. CHANGE MANAGEMENT – Apply innovative consumer-based marketing techniques to keep employees engaged during times of transition or turmoil and foster better EX overall. Why is it important to address the employee experience? It will have an impact on business: The 2017 Deloitte Global Human Capital Trends states that "a strong employee experience also drives a strong customer experience.” By focusing on EX, you can improve your talent pipeline and provide a better deliverable for your customers. Neglecting your employee development efforts could hurt retention: 40% of employees who receive poor job training leave their positions within the first year, according to a recent go2HR survey. Engagement is waning: Proudfood Consulting estimates that nearly 29% of company time is unproductive – the equivalent of 33.5 days per worker per year. The estimated cost of this lack of productivity tops out at nearly $600 billion per year in the United States. This program is designed for HR managers/directors/vice presidents, CHROs, talent development professionals, compensation and benefits professionals, and others responsible for managing recruiting, onboarding, performance management, leadership development, and other initiatives to drive employee and business performance. 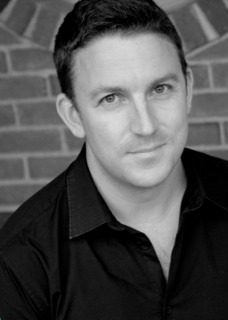 Neil has been lucky enough to experience life on the agency side - as Head of Strategy and Managing Director at Isobar—and as a client—leading digital strategy and content for Coca-Cola's Global Content Excellence group. 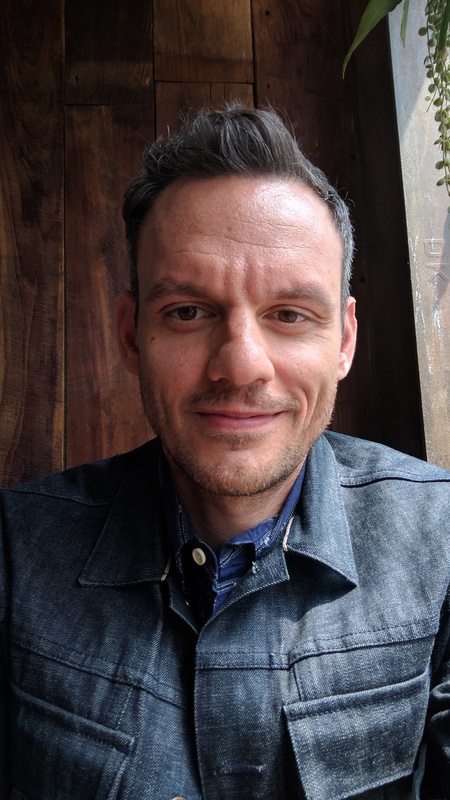 His work included leadership of the digital program for the 2014 FIFA World Cup in Brazil, developing new ways to create and publish content in real-time across multiple social channels and managing global digital agency relationships. 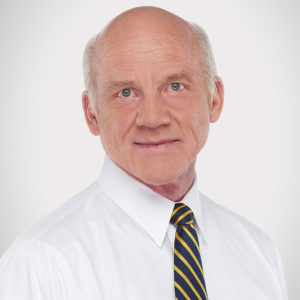 Don Everett is the founder and CEO of Workforce Interactive. After a 20-plus year career in the technology sector with organizations like Oracle, he formed his own company and began providing HR Analytics services whereby emotional intelligence competencies are correlated with operating performance metrics. His organization has assessed emotional intelligence elements of 300,000 applicants and employees, and his firm’s analysis of that type of data helps his clientele enhance their talent evaluation and internal development initiatives. 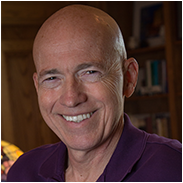 He is certified in Values Science - the social science advanced by Nobel Prize-nominated Dr. Robert Hartman, and the unprecedented methodology for objectively gaining insight pertaining to one’s emotional intelligence. Don is routinely requested as a featured speaker, especially in the HR community, and his entertaining presentations engage thousands of attendees annually. 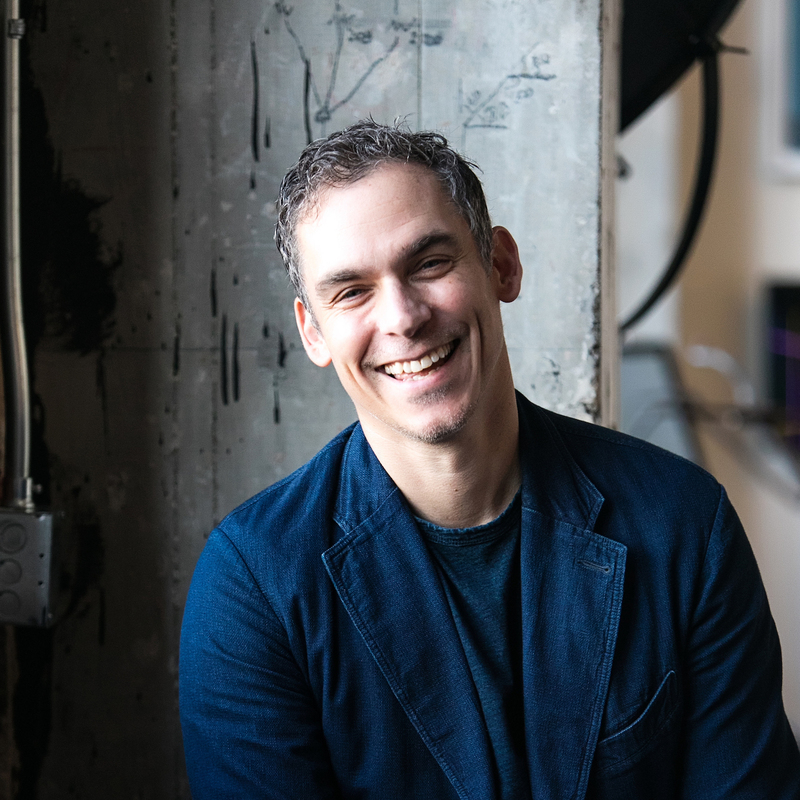 Mark Levy is a seasoned, globally-minded employee experience leader who has chosen to work for big-hearted companies – including Best Buy, Levi Strauss & Company, and Gap Inc. – to unleash the talents and passions of a company’s employees. 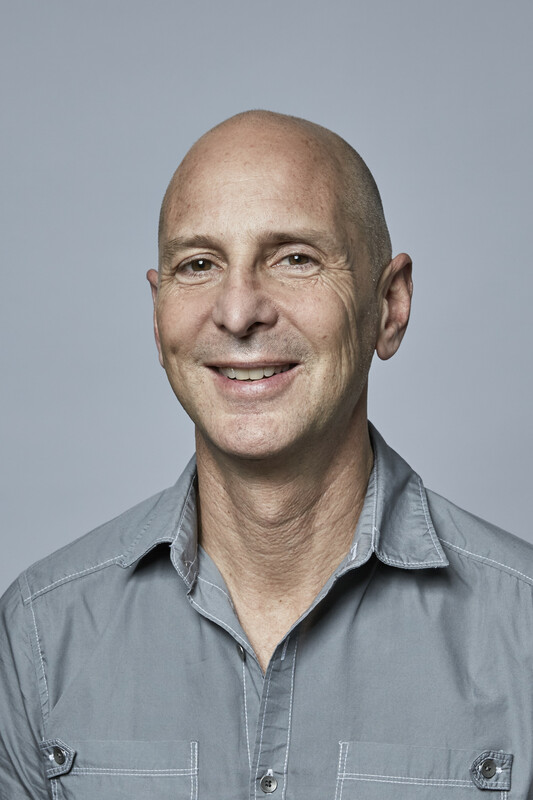 Most recently, Mark pioneered the design of the Employee Experience at Airbnb, which was recognized as the #1 Place to Work in 2016 by Glassdoor, and which has since inspired significant changes in the way organizations around the world are looking to expand the HR function to focus on the entire employee journey. 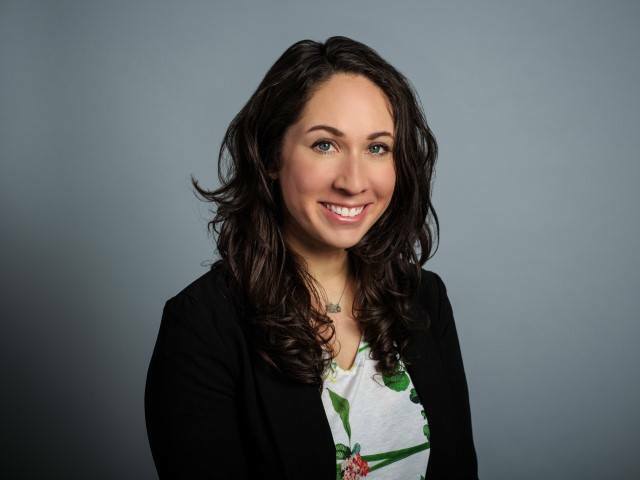 Elizabeth Loucheur Vice President of Customer Success YouEarnedIt/HighGround Elizabeth Loucheur, Vice President of Customer Success at YouEarnedIt/HighGround has applied a belief that positive employee and customer experiences are not mutually exclusive. As a result, YouEarnedIt/HighGround is seeing exceptional customer and employee retention. Today, Elizabeth leads a team of customer success professionals that serves nearly 600 organizations worldwide. 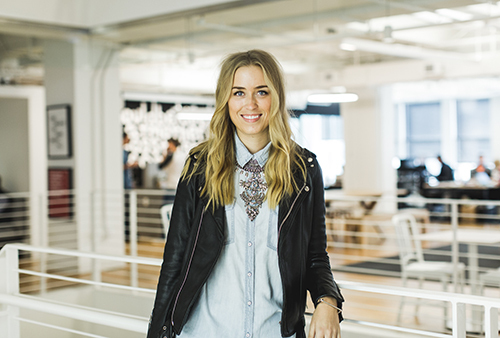 Before joining YouEarnedIt in 2015, she led teams focused on consumers and partnerships at FOX Sports, The Ultimate Fighting Championship, and Comcast Corporation. She holds a degree from George Washington University. Joan Peterson of Bluepoint Leadership is a highly skilled facilitator and coach with over 15 years of hands on experience working with leaders at all levels and in many different industries. She is noted for her passion for what she does and for her energetic and interactive facilitation style. Her feedback typically includes the words: engaging, excellent, enthusiastic, informative and professional. She is equally adept at working with front line emerging leaders as she is with executive teams. Joan is noted for her unique workshop design and delivers measurable results by inspiring participants to build on their strengths to improve their bottom line results. Her growing renown as a facilitator is equaled by her growing reputation as a thought leader and a respected authority on what it takes to deliver a learning experience that will last the test of time. Her areas of expertise include helping organizations, teams and individuals, understand how to lift the performance of others, how to improve team execution by way of innovation and creativity, and how to create an aligned and engaged organization that is primed to deliver on its vision. 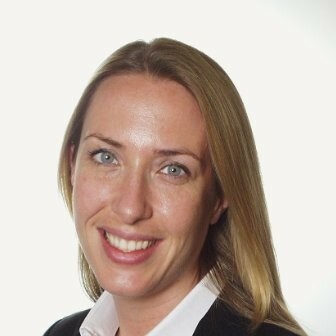 Alexis Smith is Director of Employer Brand & Digital, North America for Anheuser-Busch, home to several of America’s most recognizable beer brands, including Budweiser, Bud Light, Michelob Ultra and Stella Artois. Alexis joined Anheuser-Busch as a Global Management Trainee more than a decade ago and has since worked in both the US and Canada across a variety of roles. A marketer by trade, having run brands including Michelob Ultra and Natural Light and spearheading Budweiser’s award winning Budweiser Red Light Campaign, Alexis made the leap to the People and Culture team in 2015 and is now on a mission to manage the Anheuser-Busch and the employer Brand the same way they manage beer brands - with great storytelling and memorable experiences both internally and externally. Alexis is a transformational HR professional on a mission to reimagine the way employers engage with their workforce. While at Anheuser-Busch she has developed its innovative approach of managing its company and employer brands the same way that it manages its beer brands, both internally and externally. 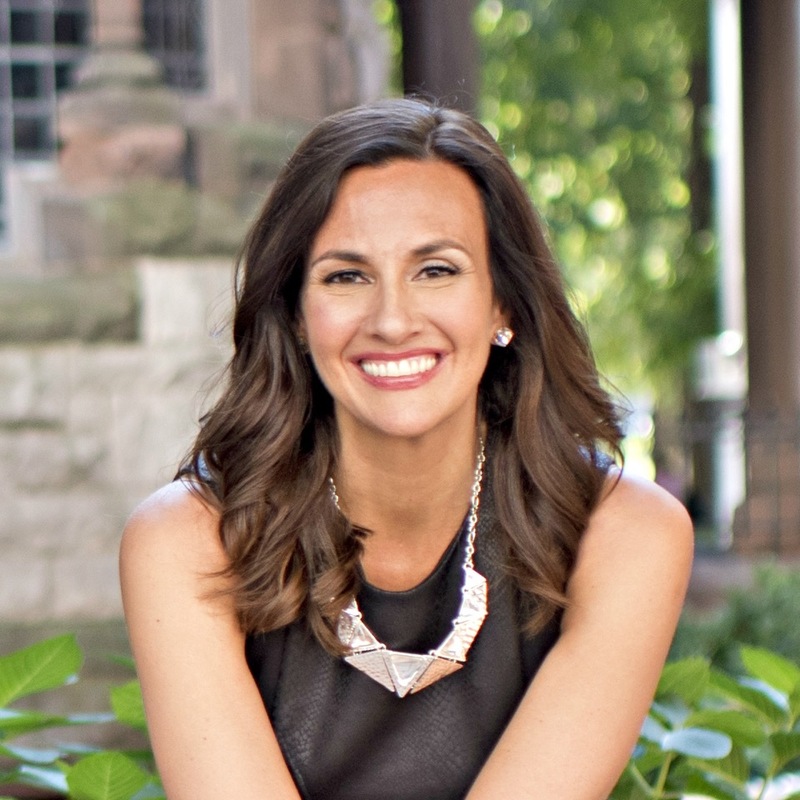 Alexis is frequently interviewed by the HR and workplace media and is often asked to contribute her own original thought leadership. A true intrapreneur, passionate marketer and employee advocate, Alexis is sure to inspire and provoke creative thinking. Melissa Van Dykeserves as president of the Incentive Research Foundation (IRF), where she is responsible for all day-to-day operational, financial, and marketing programs. Over the last 9 years she has helped triple IRF’s research and education footprint. 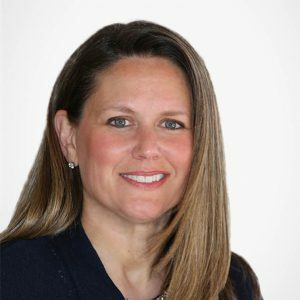 Melissa has written articles for numerous organizations, including the American Management Association and CHRO Magazine, and travels frequently to speak on the topic of motivation and engagement in the workplace. 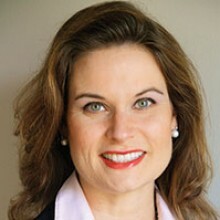 She has been named one of the "Top 25 Women in theMeetings Industry”, a "Perennial Leader in the Meetings Industry”, and was selected as Incentive magazine’s “Top 25 Most Influential People in the Incentives Industry.” She has authored numerous articles in various publications including the chapter on “Using Non-Monetary Awards to Support Business Behaviors that Drive Results” in the sixth edition of the Compensation Handbook and “Changing the Compensation Conversation and the Growing Utility of Noncash Rewards and Recognition” in the Compensation and Benefits Review-Journal. Building off of her previous career in high tech—both as a director of financial analysis and later as a sales executive—Laurie utilizes her deep and wide wellness expertise to implement the health and wellness employee experiences and support she yearned for in her corporate career. 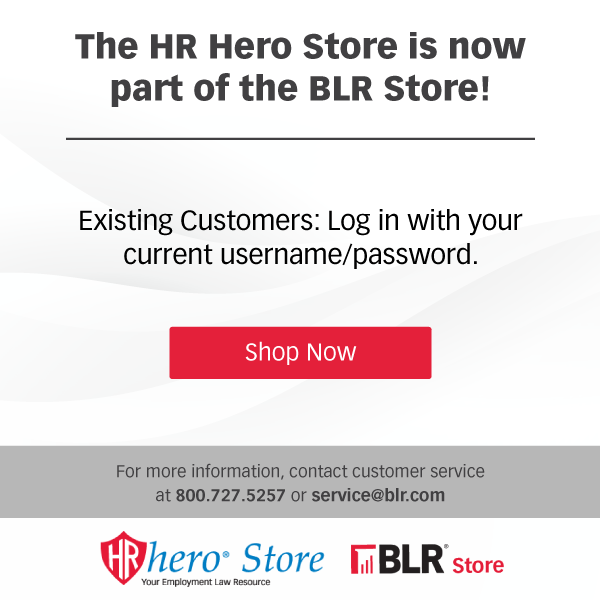 Her Unlock Workforce Potential™ curriculum and training program educates, guides and empowers companies to care for and better support their employee's wellbeing. The result is the creation of thriving and sustainable corporate wellness cultures - and more successful companies. Laurie is an industry influencer, speaker and author who uniquely contributes to the pressing conversations and change that the wellness field now requires. Reference TalentCon room block when making reservation. CREDIT INFORMATION: This conference has been approved for 12 HR (General) recertification 12 credit hours (including 2.75 credit hours of HRCI business credit) credit hours toward aPHR™, PHR®, PHRca®, SPHR®, GPHR®, PHRi™ and SPHRi™ recertification through HR Certification Institute® (HRCI®). Please make note of the activity ID number on your recertification application form. For more information about certification or recertification, please visit the HR Certification Institute website at www.hrci.org.